Leitrim GAA is in mourning following the death of former football star Paddy Dolan. The Ballinamore man was selected at right half-forward on Leitrim's Team of the Millennium - an accolade fully deserved after years of excellent service to his county. Paddy played his first game for Leitrim in the National Football League when he was just 16 years old. He had an outstanding minor career and gained a Connacht MFC medal in 1956. That same year he starred at left half-forward in the All-Ireland final against Dublin and went on to play in the Connacht SFC finals of 1958, '59, '60 and '70. While unlucky not to end his senior inter-county career with silverware, Paddy enjoyed his share of success at club level with Ballinamore Sean O'Heslins. He won eight senior championships with his native club and was captain of the team which completed a three-in-a-row triumph in 1969. 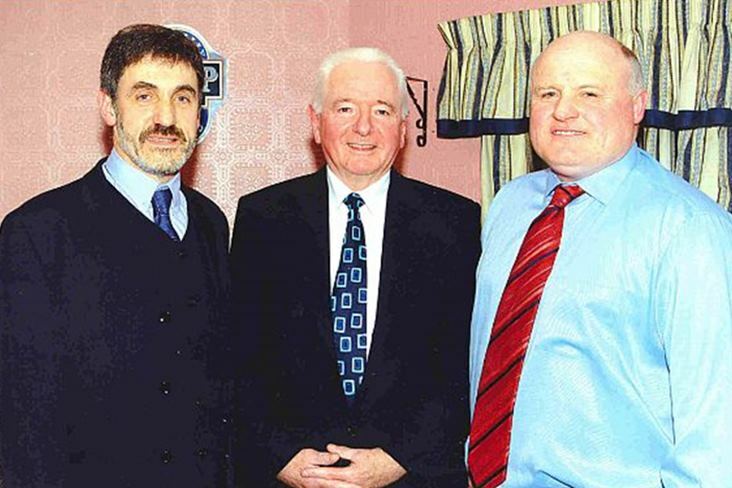 In the same year, Paddy, Pat Murray and Joe McInerney were the organisers for the club's historic trip to New York and was again involved in running their trip across the Atlantic 20 years later. During his playing career, Paddy also lined-out with Leitrim's hurlers and was known as a charismatic and friendly person. He will be greatly missed by his family and all that knew him. Reposing at the residence of his son Raymond, 9 Slieve View, Teemore, Co. Fermanagh this evening (Wednesday) from 6pm until 10pm and on Thursday from 12pm until 5pm. Removal on Thursday evening arriving at St Patrick's church, Ballinamore at 8pm.